Capturing images and documenting care has never been more streamlined. Save time and eliminate countless steps working through our innovative modules with fluidity and ease. How many steps does it take to capture records and upload the images into your patient's chart using your current method? At OrthoMinds, we believe that if it is more than one step, than it is one step too many and valuable time is being WASTED! Our imaging module is designed to capture images from local capture platforms directly to the cloud in ONE easy step! Take records from your smart phone, iPad, tablet or any smart device AND edit them right in the patients chart! Add, edit and save images in a variety of bitmap formats. Group images by creation date for easy and quick comparison! Use our tools to edit images! Brightness, contrast, rotation, and size. 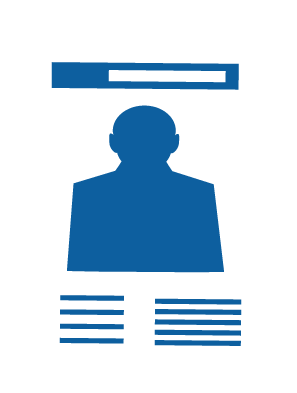 Freedom and control anywhere, at anytime over your images and x-rays via secure cloud platform. Ruler tool for easy and precise measurements of x-rays. Fast, flawless, accurate records that look great every time! Simple. Customizable. Interactive. You will enjoy working with our comprehensive Orthodontic charting module. Easy to follow treatment card. One click records release - Share and collaborate with outside health care professionals in one, fluid step! 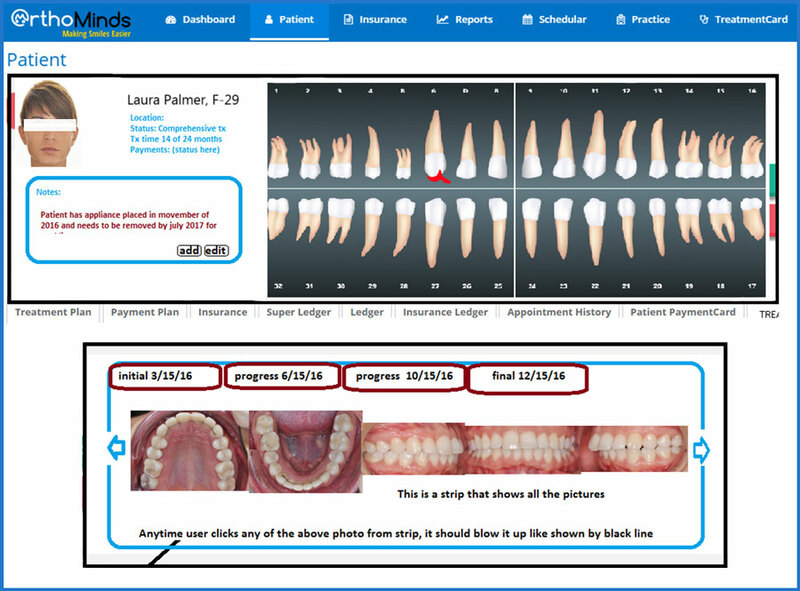 Interactive and easy on the eyes, our tooth chart allows for simple viewing and edits. Many more customizable features created for Orthodontists, by Orthodontists!